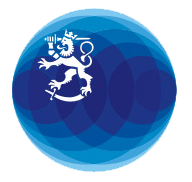 The legal guardian or next of kin of a person presumed to be missing or the victim of a suspected crime abroad can request assistance from the Finnish mission, for instance if the person has not returned from a trip abroad or has ceased to be in contact with his or her friends, family or legal guardian without warning. If you are the next of kin of a person residing permanently abroad, contact the local authorities directly in order to look into the situation and help determine the person’s whereabouts. If a person is presumed missing, you can file a missing person report with the police.